Free Energy played Bang Pop, Something in Common, All I Know, Hope Child, and their self titled track Free Energy. 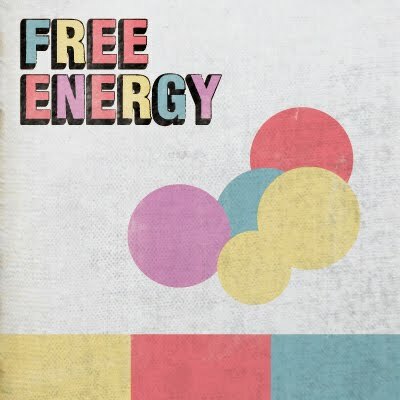 Watching Free Energy, you almost wonder if they were characters in That 70's Show. One would assume they spent all day on Haight Street shopping their life away. By the end of their set, I'm pretty sure that the lead singer gave a point out to everyone in the crowd. During the whole set you can't help but think that their drummer's inspiration is Animal from The Muppet Show. Mates of State closed out the night and has been known as a duo had 2 extra members playing guitar and trumpet. If it weren't for Mates of State, it makes us wonder if Matt and Kim would exist today. Their harmonies that go back and forth are a treat to watch live. They have been a couple for over 10 years, but on stage is looks as though they're fresh as ever. Kori's endless keyboard melodies along with Jason's drumming is so simple and perfect that it makes one wonder if they should even have added extra members to their live show. The simplicity is what makes this band so great. Another great evening at Great American Music Hall and a screen printed tour only poster was snagged for the way home.